but it has strings attached. 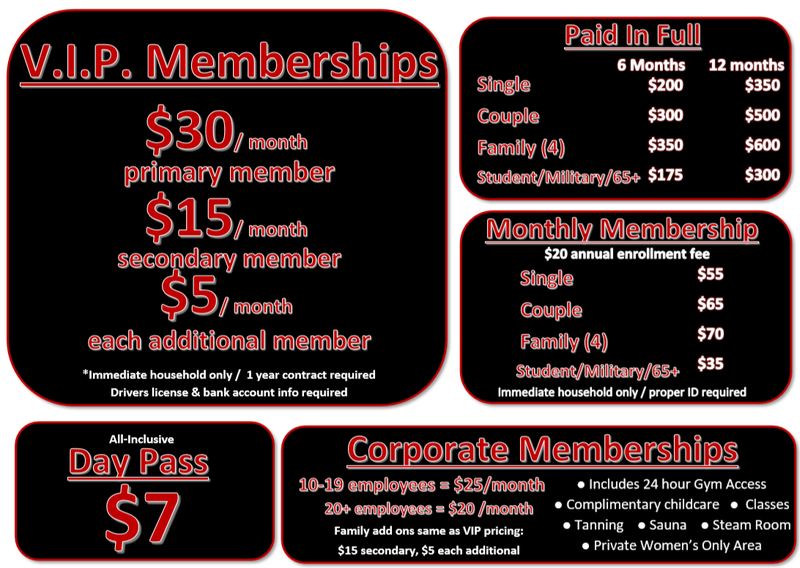 It is set up like every other gym offering a no-contract membership whereas there is an $80 enrollment fee at sign up. This $80 combines the $40 enrollment fee and $40 "price guarantee fee" that other gyms charge into one payment. Annually, on your anniversary of initial sign up, the $40 price guarantee fee will be charged and you can only come during our staffed hours (listed here), tanning, childcare, and classes are NOT included. Our Club Fit 24hr difference is fully disclosing these add on fees here for you and our staff will tell you every single fee that will come out on initial sign up, as well as what is projected in the months to come. To be completely honest, we offer this membership solely based on the fact our competitors have it. We know it is not the best membership option with all those fees... but we have it because they do and we want to give you options. You still have access to the most equipment in the area as well as ladies have access to the private women's only area if you decide this membership is right for you! the amount of equipment we offer in our facility. Interested in getting your business signed up for a reduced membership price?? $125 fee for the primary member plus $50 each additional member to cancel. If you are moving 25 miles from a Club Fit location, just bring in your water or electricity bill with your name and your new address to cancel. If you have fulfilled your 12 months you can cancel at any time without a fee. Month to month plans do not have cancellation fees attached.